The Nigeria Police Force says a report that ranked it the worst in the world in terms of the ability of the police to address internal security issues is "misleading"
The Nigeria Police Force is not happy with a report released online by the 2016 World Internal Security and Police Index (WISPI) and the International Police Science Association (IPSA) which ranked it the worst in the world. It claimed it had studied the content of the report and contrary to the claims, the force said "it is the best in UN Peace Keeping Operations, the best in Africa. Reacting to the report which was released online earlier, the spokesman for the Police, Jimoh Moshood, in a statement on Saturday, rejected the ranking. "Nigeria Police Force is the best in UN Peace Keeping Operations, the best in Africa, one of the best in the world. "The Force rejects the report as unempirical and absolute falsehood, should be disregarded and discountenanced," Moshood said in the statement. The police also said it has discovered several flaws in the report. One of the areas the report had looked at in its evaluation is the ability of the police to address internal security issues in 127 countries in four key areas of capacity, process, legitimacy, and outcomes. "The report did not consider various training and re-training that the force has been empowered with by both local and foreign organisations. “The report did not take into cognisance the significant improvement in the areas of capacity building, training and re-training of the entire personnel of the Force as provided for by the current Federal Government of Nigeria and other foreign and local NGOs which has greatly improved the efficiency and service delivery of the personnel of the Force throughout the country,” he said. The police also stated that the instrument used in evaluating the performance of the Nigeria police force in comparison to that of other countries was inadequate. “It is pertinent to state that the instruments used to evaluate the performance of the Force vis-à-vis that of other countries is absolutely incorrect and grossly inadequate and therefore a plain distortion of facts and figures. "The strength of about 370,000 Police Personnel in the country stands at around one policeman to less than 600 people in population estimates of 180,000,000 Nigerians. “In the UN Peace Keeping System, the Nigeria Police Force is rated as the best in UN Peacekeeping operations in the world. 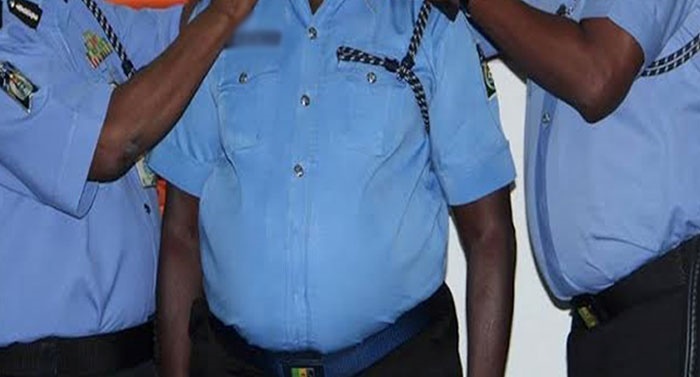 This clearly shows that the Nigeria Police Force is not and cannot be the worst in the world under any known scientific yardstick or measuring instrument,” the statement read. One other thing the police want WISPI and IPSA to know is that the Nigeria Police Force is one of the only two African delegates representing the whole of Africa continent on the executive committee of Interpol, a position the Force attained based on merit. While this report is refuted, there have been allegations of extrajudicial killings and abuse of human rights against the NPF. The force had rejected that allegation but a group, Islamic Movement of Nigeria, recently accused the police of killing two of its members when they shot at them during the annual Arba’een trek at the weekend. A statement signed by the spokesman for the group banned in Kaduna State, Ibrahim Musa, said the armed policemen were deployed to stop the group from conducting their procession. In northeast Nigeria, Boko Haram has in the past eight years attacked communities, chased the police out of their stations and it took the intervention of the military to reclaim the already occupied communities.